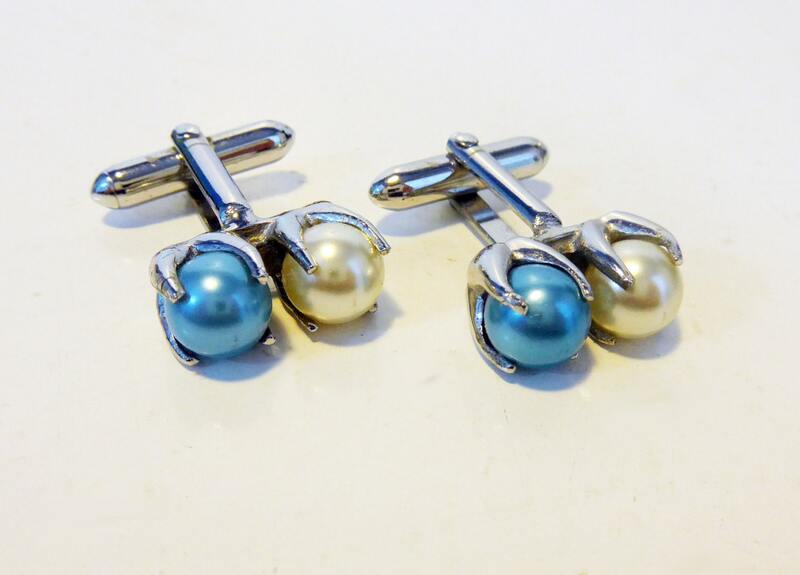 Super vintage pair of mens cufflinks made of 2 faux pearls: one white and one blue. 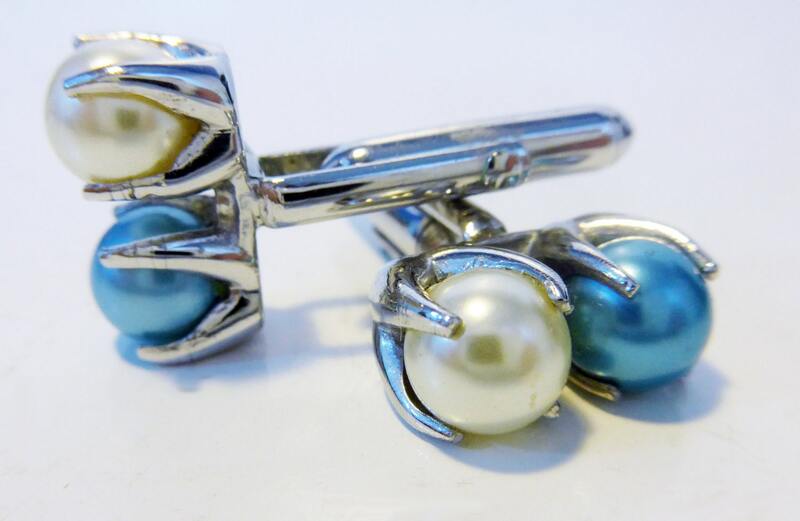 They are set in a silver tone metal and are hallmarked SWANK. Measure approx. 1/2" x 1/4". 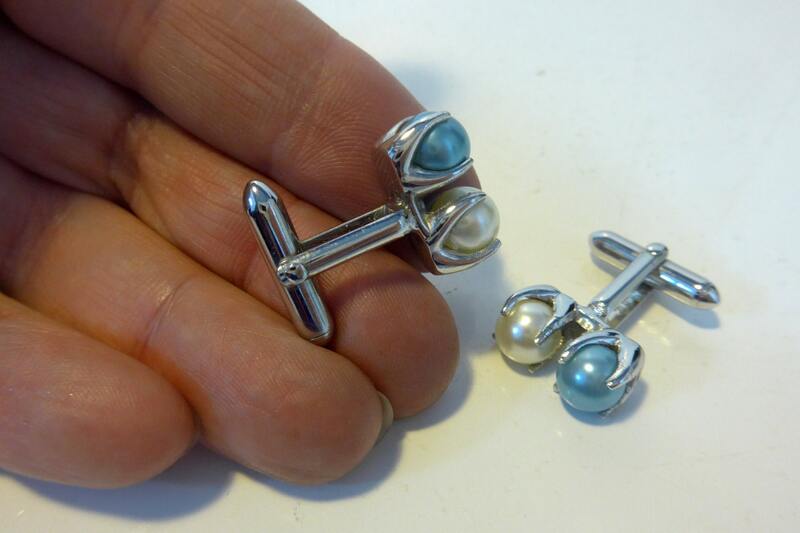 Each faux pearl is 1 mm in size. 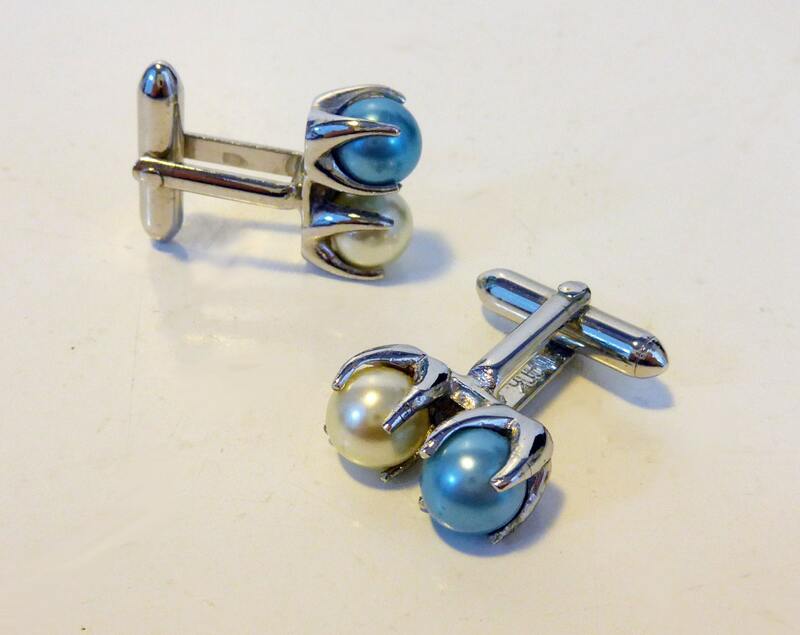 They cufflinks are in good vintage condition with no chips, cracks or nicks. Hardly any wear on the silver tone metal (not sure what type of metal it is) consistent with the vintage age of this item.